We understand the importance of validation in the pharmaceutical and medical industries. Our ISO 9001:2015 certification, close attention to detail and rigorous inspection regime means we’re an ideal partner for the sector. Other non-ferrous metals and tool steels. Can we meet your replacement pharmaceutical/medical machining needs? The components we are manufacturing are commonly used for production tooling, packaging and processing machinery replacement and spare parts, R&D fixtures, testing, analysis and product development. We closely review every enquiry we receive, take the time to understand the requirements and maintain excellent communication throughout the manufacturing process to ensure all our customers' specifications are met. This genuine interest and understanding of both the industry and what our customers expect is reflected in the high quality of work we produce. 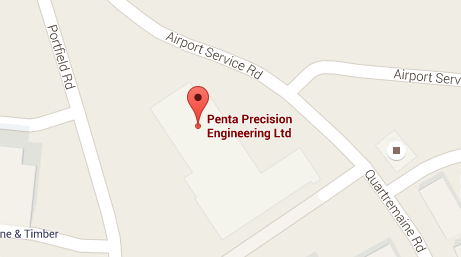 At Penta we are confident working from hand sketches, 2D and 3D electronic files and regularly work with manufacturing and project engineers to re-engineer components from samples.